A Thought: You’ll Stay Still Without Some Help. 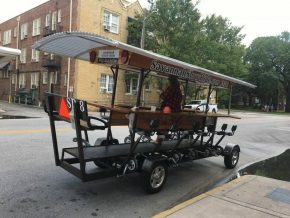 It takes people peddling this thing to reach its destination. If you have a goal, you’ll need: focus, energy, purpose, prayer, and people’s encouragement. So help yourself with all of these, and recommit them each day til you meet your goal! Each part is important—without, you’ll stay the same. Have a Super Saturday, my friends!